POWER CLEAN [SS] is a very effective cleaner / degreaser that removes left out Oil / Grease Dirt e.t.c from component bins / Trays very easily and quickly from Stainless Steel (304, 316 e.t.c). 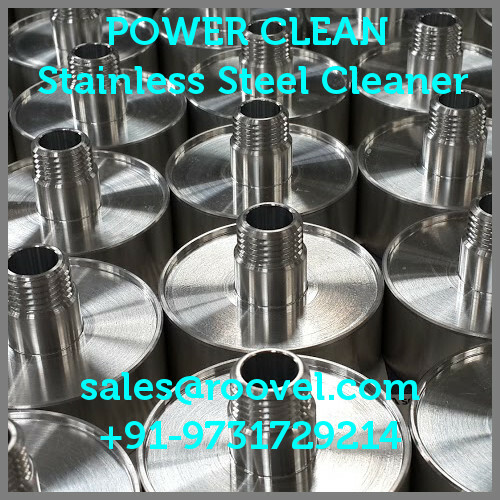 POWER CLEAN- Stainless Steel [SS] cleaner has been specifically formulated to remove oil/grease and fingerprint marks and dirt contaminants from stainless steel surfaces of all types that are used in various industries. This stainless steel cleaner is a combination of highly active, fast-penetrating solvents with selected detergents that are capable of removing oil, dirt, dust, fingerprint marks etc. from SS and give it a nice shiny finish. 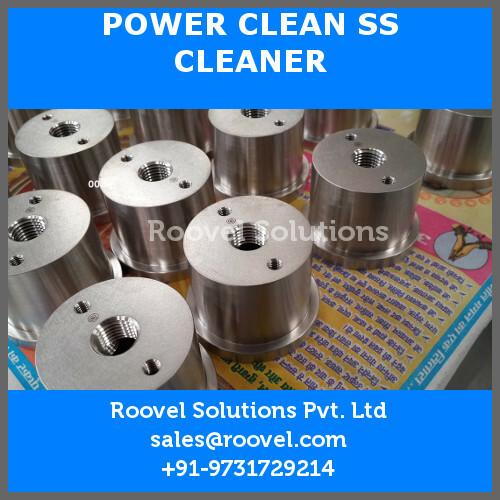 POWER CLEAN Stainless Steel [SS] cleaner is a non-toxic, water-soluble cleaning chemical that removes oil, grease, dirt and dust quickly when used in a high jet spray cleaner. In addition to quick cleaning, this stainless steel cleaner does not cause any damage/discoloration to the substrate (plastic container). A clean bin/tray is a necessity to carry and store cleaned components and POWER CLEAN [SS] does the job real fast even in 1% dilution depending on the contamination of the bin/tray. POWER CLEAN - Stainless Steel [SS] cleaner is supplied as a liquid concentrate. You need to dilute it with water in 1:20 concentration by volume based on contamination at ambient operating temperature. Heating the diluted product will improve its cleaning prowess further. You only need to spray POWER CLEAN SS on the stainless steel surface and leave it for few seconds before wiping it off with a cloth or rinsing it off with water. Oils (various types used in manufacture of metal components). We had white patches on our SS boxes after cleaning the weilding marks. Using POWER CLEAN [SS], we were able to nicely remove those chemical marks on the SS metal and give it a shine. Great product! We use POWER CLEAN [SS] is an excellent product that cleans our SS parts nicely with a shine. After cleaning we pack it and send it to our international customer. We would recommend it anyone who uses SS.